We are so glad you have decided to participate in an extended time of prayer, fasting and personal devotion. 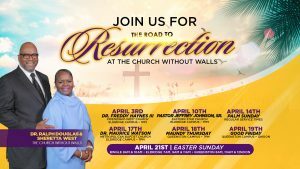 There is no better way to reset our spiritual compass and bring about spiritual renewal in every area of our lives through prayer and fasting. Our hope is that this time of prayer and fasting will refresh us personally but also our church as we seek His blessing and direction. The Saving Passion, by Henri J.M. Nouwen, is a compilation of passages from seven of his earlier works on spirituality and the spiritual life. 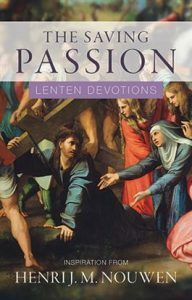 In this book, he takes his readers on a forty-day journey through daily devotions, scripture and prayer during the Lenten season. For over thirty years, Henry Nouwen has been one of the leading spiritual directors in my life. 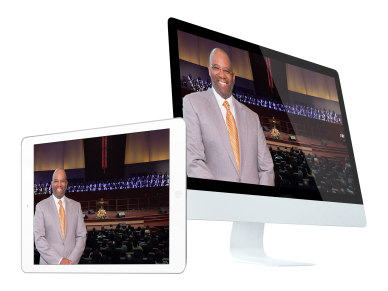 This year I want YOU to join us, through this season of fasting. Together we will encounter and experience God in a powerful way. Will you commit with us? Fasting has the potential for significant impact in our lives. Through fasting and prayer, the Holy Spirit can transform your life personally and God can speak to you in new and dynamic ways. Fasting and prayer can also work on a much grander scale. 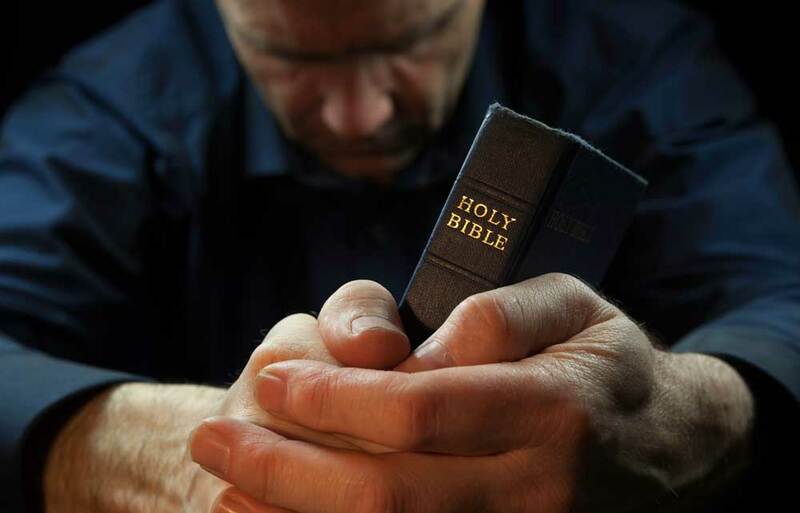 According to Scripture, personal experience and observation, we are convinced that when God’s people fast with a proper Biblical motive – seeking God’s face not His hand – with a broken, repentant, and contrite spirit, God will hear from heaven and heal our lives, our churches, our communities, our nation and world. Fasting and prayer can bring about revival – a change in the direction of our nation, the nations of earth, the fulfillment of the Great Commission, and to The Church Without Walls. Biblical fasting is, very simply, denying oneself something for the sake of seeking and honoring God. Prayer is connecting with God; fasting is disconnecting ourselves from the world. That’s a great way to describe the feeling. In addition to food, you can also fast from other things that keep you connected to the world. These may include television, social media, video games and more. Fasting was an expected discipline in both the Old and New Testament eras. For example, Moses fasted at least two recorded 40-day periods. Jesus fasted 40 days and reminded His followers to fast, “when you fast,” not if you fast. Fasting and prayer can restore the loss of the “first love” for your Lord and result in a more intimate relationship with Christ. Fasting enables the Holy Spirit to reveal your true spiritual condition, resulting in brokenness, repentance and a transformed life. The Holy Spirit will quicken the Word of God in your heart and His truth will become more meaningful to you! Fasting can transform your prayer life into a richer and more personal experience. Fasting can result in a dynamic personal revival in your own life – and make you a channel of revival to others. As you prepare to fast, it is important to choose a fasting plan that works for you. While this section provides some general information about different types of fasts, as well as some suggestions on how to create your own fasting plan, it is important to mention that there is nothing more inherently spiritual about one type of fast as opposed to another. These are simply guidelines and suggestions on different things you can do. Fasting can include food, social media and entertainment, among other things. It should be something you are accustomed to so that it stretches you to give it up. Giving it up for a period enables one to focus on God. 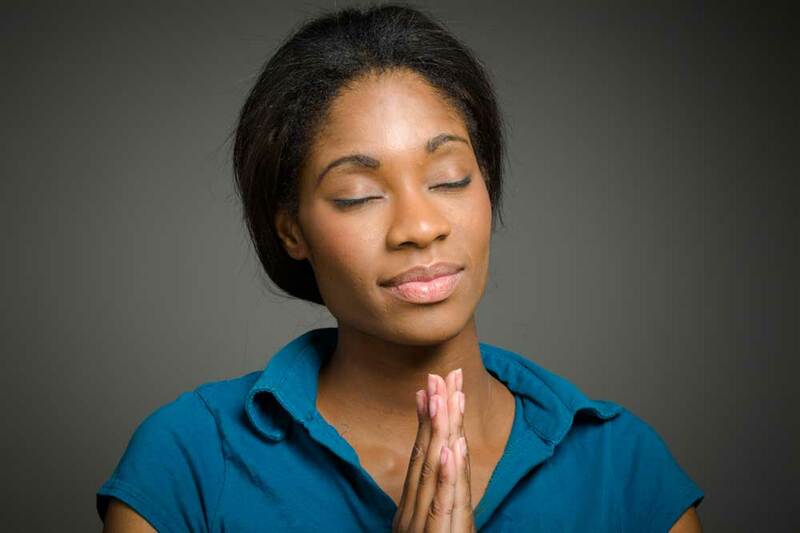 For example, when those hunger pangs happen, turn to prayer. When you usually watch your television shows, open your Bible to read and pray instead. Fast from social media or watching sports so you can focus on God. Don’t let what you eat or do not eat become the focus of your fast. Our focus should be on drawing closer to God. Remember, this is a time to disconnect enough from your regular patterns and habits in order to connect more closely to God. 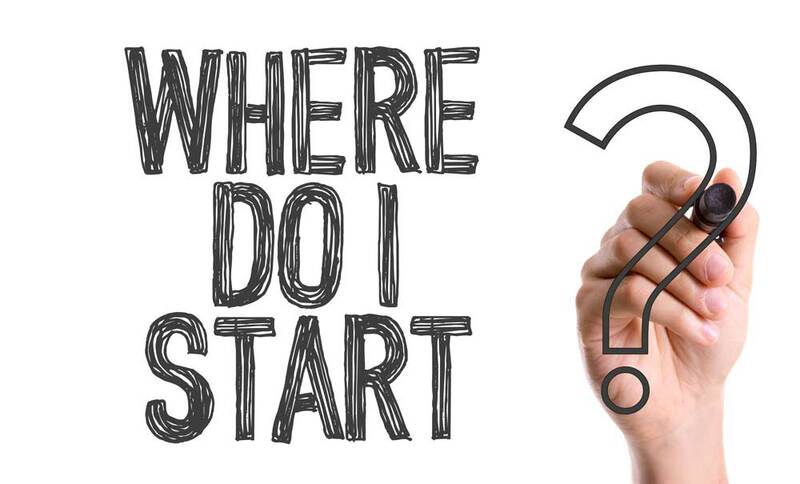 Here are a few tips to keep in mind before getting started. We are all at different places in our walk with God. Likewise, our jobs, daily schedules and health conditions are all different and place various levels of demand on our energy. So most importantly, whether you’ve fasted before or this is your first time, start where you are. Your personal fast should present a level of challenge to it, but it’s very important to know your own body, know your options and, most importantly, seek God in prayer and follow what the Holy Spirit leads you to do. Remember, the goal of fasting is not just to do without food or Facebook. The goal is to draw nearer to God and to seek His direction. Pray about the kind of fast you should undertake. Jesus encouraged us to fast (Matthew 6:16-18). For Him it was a matter of when believers fast, not if they would do it. Before you fast, we encourage you to decide up front the type of fast God wants you to undertake and how much time each day you will devote to prayer and reading God’s Word. Making these commitments ahead of time will help sustain your fast when physical temptations and life’s pressures tempt you to abandon it. You may choose to fast all 40 days, or you may choose to fast several days out of the 40 days, such as three or four days a week throughout the 40-day period. Maybe you will do that and do three to seven consecutive days at the end. This is your personal decision and should be prayerfully considered as it applies to your circumstances. It is important to fast in a way that works for you. The goal is that you choose a fast that will be challenging for you but will work within your life. You should choose a plan that will cause you to rely on God and will create space in your life for Him to work. Depending on the type of fast you choose, it may be important to prepare your body ahead of time before beginning the fast. Take some days to transition into your fast; otherwise it may be difficult on your body. For example, if you would like to go on a fruits and vegetables or juice fast, start eliminating meat, white grains, and refined sugars from your diet a couple of days before. Also, you may want to start to cut back on dairy products and some of your caffeine intake. The same principle applies to breaking your fast. When your fast is over, add foods back in very gradually. You will not want to break your fast with a greasy cheeseburger! 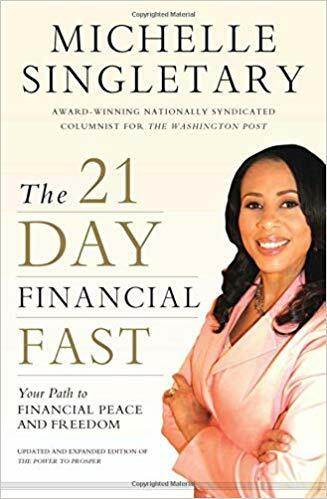 The 21 Day Financial Fast by Michelle Singletary is the book that you can use for your path to financial peace and freedom. 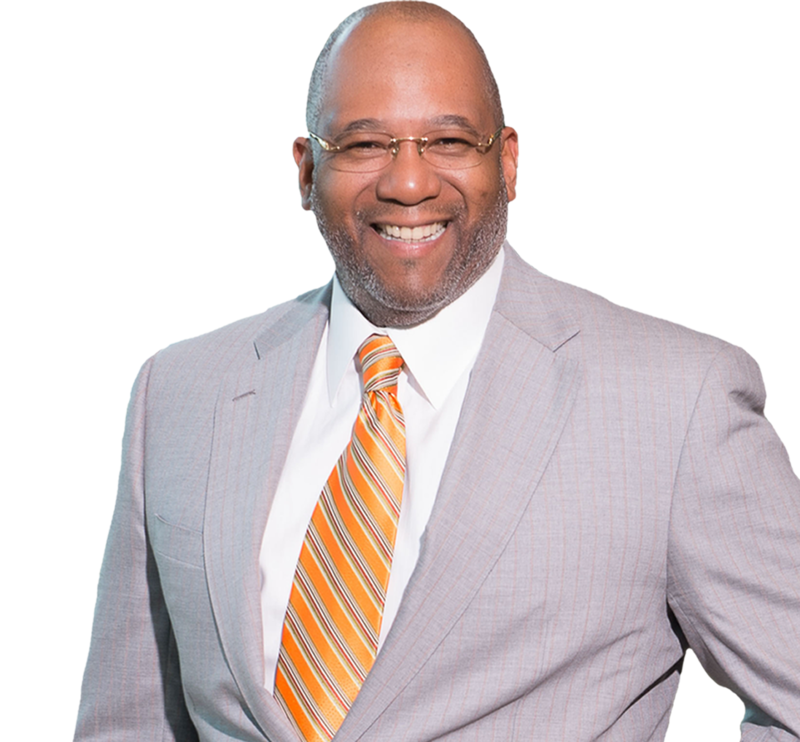 As you discover practical ways to achieve financial freedom, you’ll experience what it truly means to live a life of financial peace and prosperity. In this type of fast you omit a specific item(s) from your meal plans. For example, you may choose to eliminate all red meat, processed or fast food, or sweets. Most people can incorporate this type of fast relatively easily. It can also prove to be a great solution for people with specific dietary needs or medical conditions that may cause certain limitations. While fasting typically refers to refraining from specific food items, you may also find it extremely beneficial to fast from a regular activity or habit. This might include things such as television, social media and over spending. Prayer and fasting are about both connecting to God and disconnecting from the world. Try to tune out some of the regular distractions from your day as much as possible. Replace that time with things that will nourish you spiritually. 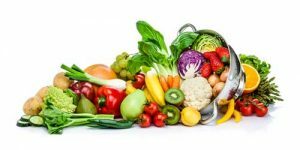 The Daniel fast is a great model to follow and one that is extremely effective for spiritual focus, bodily discipline and purification of the body and soul. It is probably one of the most commonly referred-to fasts; however, within the Daniel fast there is room for broad interpretation. In the book of Daniel we find two different times where the prophet Daniel fasted. Daniel 1 states that he ate only vegetables and water, and in Daniel 10, while the passage does not give a specific list of foods that Daniel ate, it does state that he ate no rich (or choice) foods, as well as no red meat or wine. Therefore, we can see that either of these, or combinations of the two, constitute a Daniel fast. Again, it is important to mention that there is nothing inherently spiritual about one type of fast as opposed to another. The foundation of the Daniel fast is fruits and vegetables. Some starchy vegetables and dairy could be included, but that depends on the individual. Your goal should be to seek God in prayer about this and follow what the Holy Spirit leads you to do. 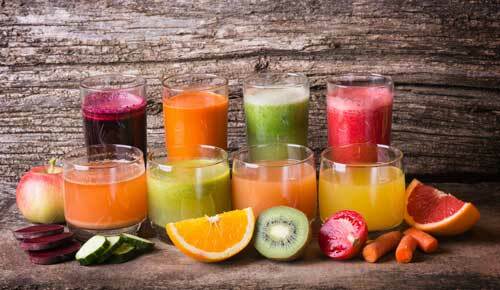 A juice fast is simply consuming vegetable and fruit juices and water instead of solid food. Many people include whey protein in their liquid plan as well. Even if you choose not to make your entire fast liquids-only, substituting one or two meals for liquids could be a great alternative. Remember that God is your Father and He loves you and is for you. Confess every sin that the Holy Spirit calls to your remembrance and accept God’s forgiveness (1 John 1:9). Seek forgiveness from people whom you have offended and forgive those who have hurt you (Mark 11:25; Luke 11:4; 17:3, 4). Ask God to fill you with His Holy Spirit according to His command in Ephesians 5:18 and His promise in 1 John 5:14, 15. Surrender your life fully to Jesus Christ as your Lord; refuse to obey your worldly nature (Romans 12:1, 2). Begin your time of fasting and prayer with an expectant heart (Hebrews 11:6). Do not underestimate spiritual opposition. Satan sometimes intensifies the natural battle between body and spirit (Galatians 5:16, 17). If you sincerely humble yourself before the Lord, repent, pray, and seek God’s face; if you consistently meditate on His word, you will experience a heightened awareness of His presence (John 14:21). The Lord will give you fresh, new spiritual insights. Your confidence and faith in God will be strengthened and you will feel refreshed. 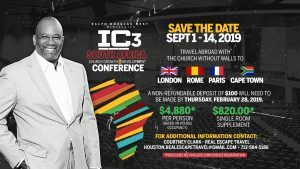 Our prayer is that this will be a significant time in your life where you experience God’s presence like never before! Make it a priority to attend church during your 40-day fast. Being around other believers will encourage you to keep on going when fasting gets difficult. If you are fasting with others, you may want to meet in a small-group setting before bible study or church services. You can share what God is showing you in your devotional time as well as spend time in prayer together.